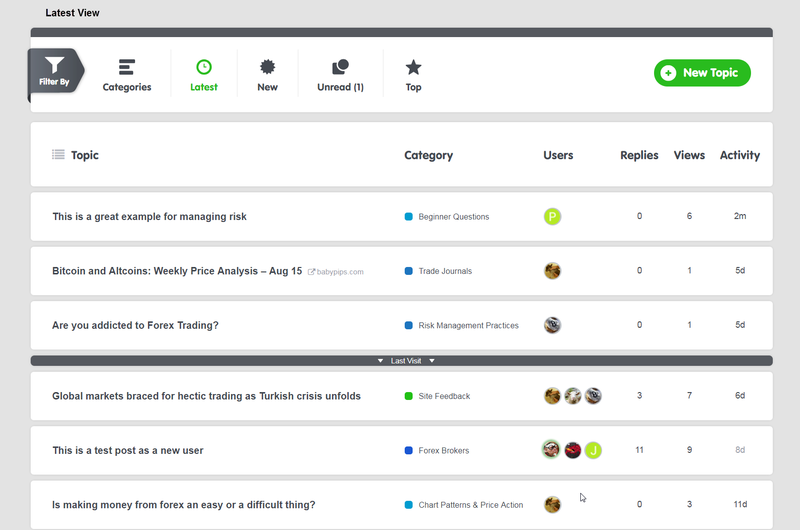 It’s been a little over a year since we released the completely redesigned Forums on a new platform, Discourse (it replaced vBulletin, something we had been using for ages and ages). 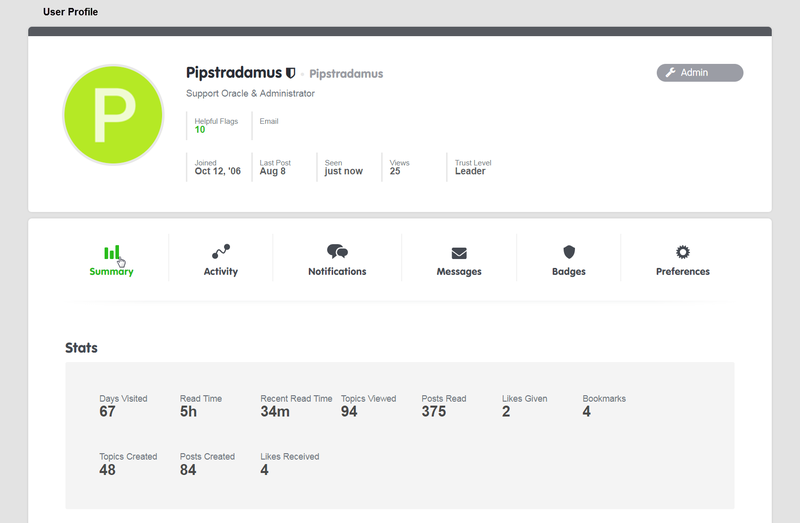 With the new look came many changes visually and feature-wise, along with changes to how members built trust (Trust Levels), by reading, posting, replying and liking, in an effort to gain more freedom and access to do things around the Forums. 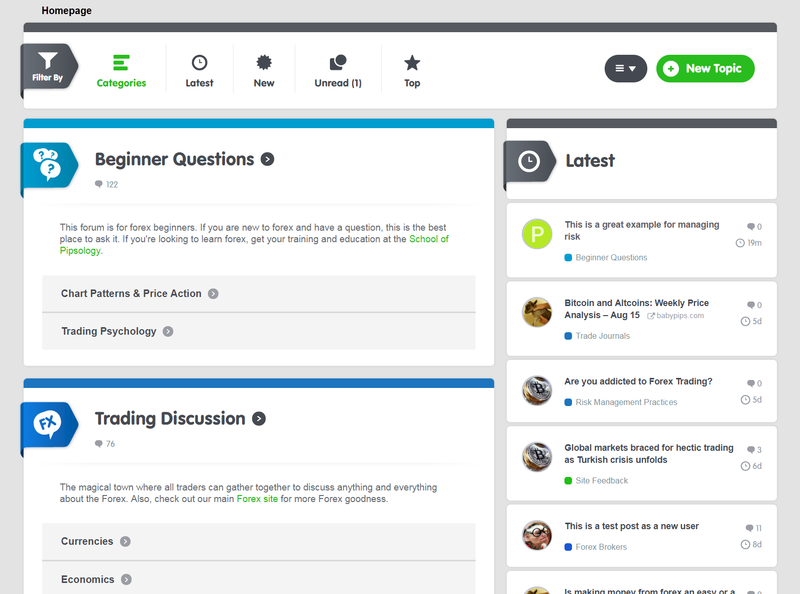 And Discourse brought with it many new and cool features to help with engaging other members, while also helping you remember what you’ve read and where you left off, what you like (bookmarks), who you like, and who’s liked you. On top of that, notifications in the form of PMs and visual alerts keep you informed of activity around the topics and replies that you’re actively engaged in. And we introduced Badges to give credit where credit is due, awarding our most avid users, encouraging positive behavior, and learning how the site works. That release was huge! What we have coming to you very soon is not anywhere as big as the release last year, but rather a mix of visual redesign along with some new features (we’ll highlight those features in another post). One of the biggest complaints from the release last year was the lack of color and the sea of white, which can be hard on the eyes. There was definitely less color, so our design and development team has worked for many months to introduce a design with a bit more color, along with more structure around some of the different areas of the page and sections of the Forums. The main background color is no longer mainly white (though some areas are still white), while we’re also adding more borders to keep many on-page elements grouped together. Basically, more structure and color, less white. Yippee! Related to the timing of this release, we starting working on some of these design changes almost immediately after we relaunched last year. Designing or in our case, redesigning, is tedious work. Redesigning somebody else’s product (Discourse) is that much harder. And in the new age of tablets, mobile phones, phablets and handies, and ever-changing screens sizes, a change to one part of the website has to support many different screens sizes. So read that as a lot of technical work to accomplish what you see. 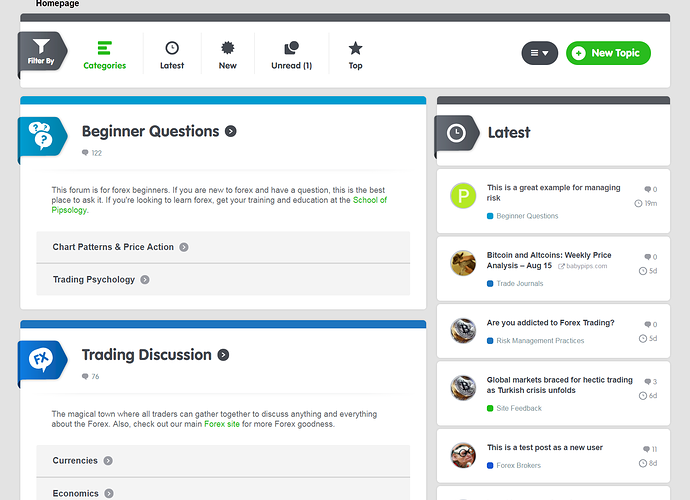 And with our Forums, which includes so many bells and whistles visually, it’s even more complex to get it all right the first time. So with that information, we’re hoping the new color scheme, along with new visual cues, layout changes and arrangements, new icons and features will make your time here more enjoyable! We’re looking to go live in early to mid September, so keep on the lookout for these changes. And to get your excitement bubbling, here are a few teaser pics. Hope you like them! looking forward to the new design! I’m more excited than a fat kid at a Mr Kipling exhibition! One enhancement I hope you add is _bob as a Moderator. Scalable Fonts, right now they are toooooooooooooooo small, if I was a Peregine Falcon Gopher, they would be ok, butttt. SUUUUPER EXCITED FOR THIS! The topics look really organized with their legit own boxes. Haha. Keep it up guys! It gets 2 thumbs up from this C# and HTML5 developer. Can hardly wait! Excited for a new look!! Wow! Looks cool. Can’t wait to see the changes. Love the new look! Can’t wait to test drive! I’ve tried the search function in finding a way to do this but have come up empty. Looks cleaner, wider and easier. I really like these added (hookers I guess). Liked it. Looks more organized. Hope there will also be an easier way to find members to follow. Looking forward to seeing these changes. The navigation feature you are asking for already exists in the present forum. There are no pages, so therefore no page numbering. But, posts are numbered. as 12 / 15 (that is, post #12 of 15). 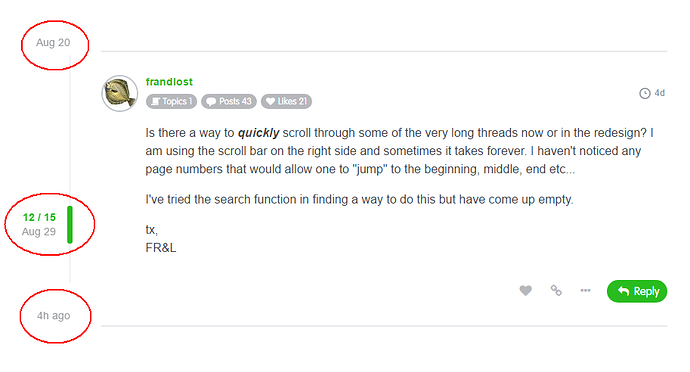 The green slider in the margin, next to your post number, gives you a way to scroll up or down which is much faster than the scroll-bar on the right that you mentioned. If you want to scroll to a post in the middle of a long thread, use the green slider, and watch the post numbers displayed next to it, until you get where you want to go. 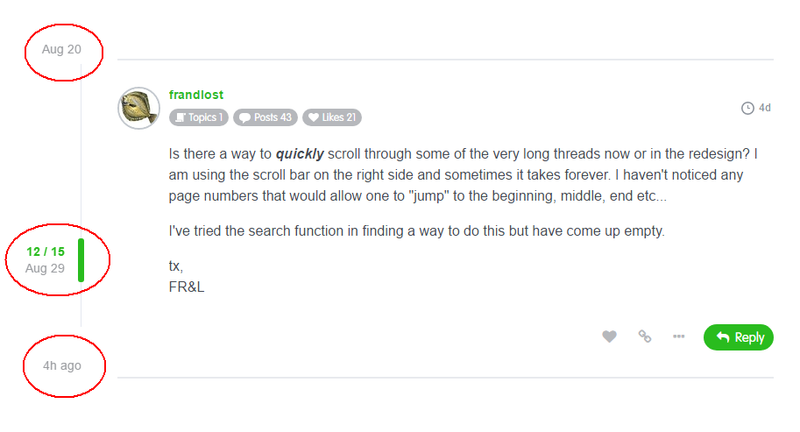 Also in the margin, you will see (1) when the first post in this thread was submitted (above the green slider), and (2) when the last post was submitted (below the green slider). Click on (1) and the screen will immediately jump to the first post in the thread. Click on (2) and the screen will jump to the latest post in the thread. @clint and @Pipstradamus , thanks for the replies… I figured that out the other day should have posted the light had dawned on Marblehead. I mainly read you guys on my phone, so I’m curious to see how the new changes will look on my Android… Props for all the hard work!